The Royal Foundation are working in partnership with Team Bristol on their Coach Core programme. They are looking for up to 15 new coaching apprentices. This year ‘Team Bristol’ will employ 15 young people who have the potential of becoming the future sports coach. We will be inviting applications to our information afternoon on January 17th. Those who demonstrate commitment and a will to want to better themselves in this sports coaching programme will then be offered 14-18 month employment working and training for 30 hours a week on Coach Core beginning February 2019. You will work towards your Community Activator Coach Apprenticeship L2. ·Achieve qualifications and vocational training that matches the criteria required by employers within the sports industry. ·Mentoring and experience of working alongside professionals from the industry including Sports Development Officers, experienced sports coaches and personnel from National Governing Bodies. ·Practical experience of working in the industry at sports event, in schools, in clubs and coaching within sports venues. ·An opportunity to meet new people of a similar age, have fun, become a role model and give something back to the community. In July 2012, The Royal Foundation launched Coach Core; a new, innovative and exciting sports coaching apprenticeship targeting young people who wish to gain further education and employment in sport. Since then, apprentices in cities across the UK have been able to enjoy an intensive but incredible opportunity to become educated and employed for 14 – 18 months with some of the biggest sports providers and clubs in the industry. With a full support team in place, apprentices have thrived both with their professional and personal development as we look to enhance the lives and opportunities for all Coach Core students from the first day to the last. Successful applicants will be involved in a paid full-time sports coaching training programme to support your development and prepare you for future employment. 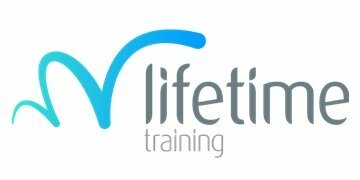 At the end of the 14 – 18 months, you will leave with recognised qualifications, new skills, knowledge and a wealth of experience working as a trainee sports coach plus the opportunity to attend events unique to this programme. • Possess a passion for physical activity and healthy lifestyles. • Be organised and able to work effectively in teams and as an individual, always maintaining a professional approach to work. • Be able to relate well to, motivate, and encourage others being conscious of being a positive role model at all times. • Have an enthusiastic attitude to life and work. • Have the ability to make learning and work fun.